Austere, dry. 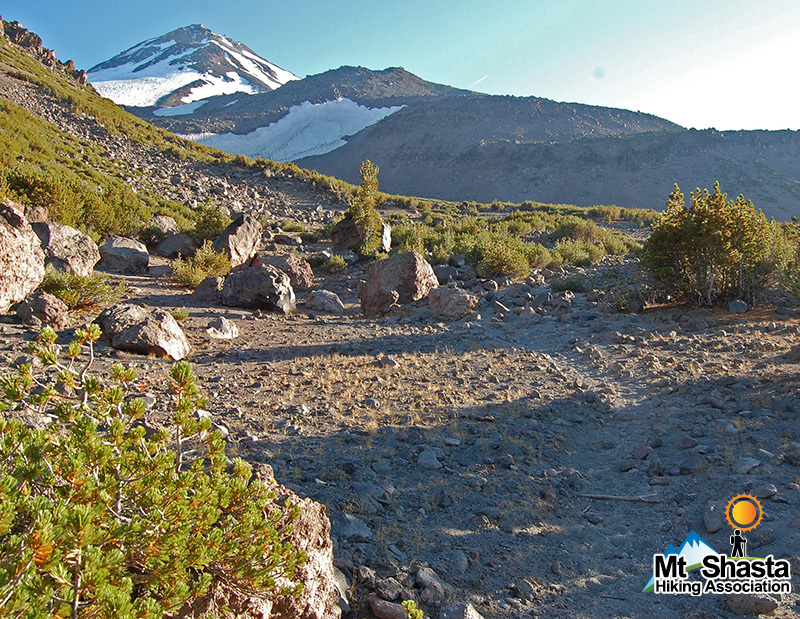 The highest trail on Mount Shasta, other than climbers' tracks. It is on the rarely visited north side of Mount Shasta, and views extend far north, up the series of volcanic peaks that make up the Cascade Range.